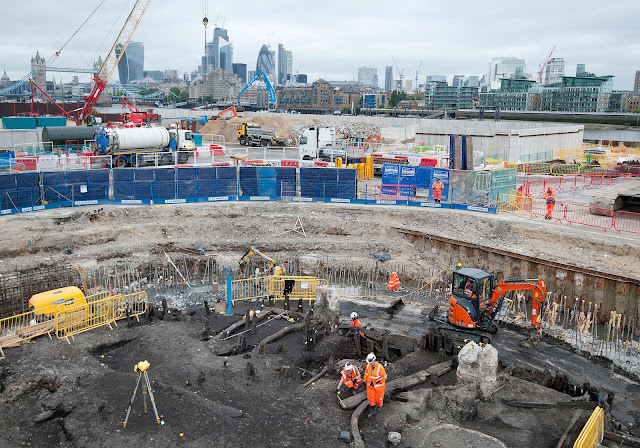 A mysterious male skeleton, lying face-down deep in the Thames mud, with a pair of in-situ thigh-high leather boots has been discovered by MOLA archaeologists working on one of the sites being used to build London’s super sewer in Bermondsey. The river was a hazardous place even in the late 15th century, so perhaps his occupation was the cause of his death and the reason he came to be discovered. Could he have been a fisherman, a mudlark or perhaps a sailor? Was he climbing the Bermondsey Wall when he fell into the water? Did he become trapped in the mud and drown? 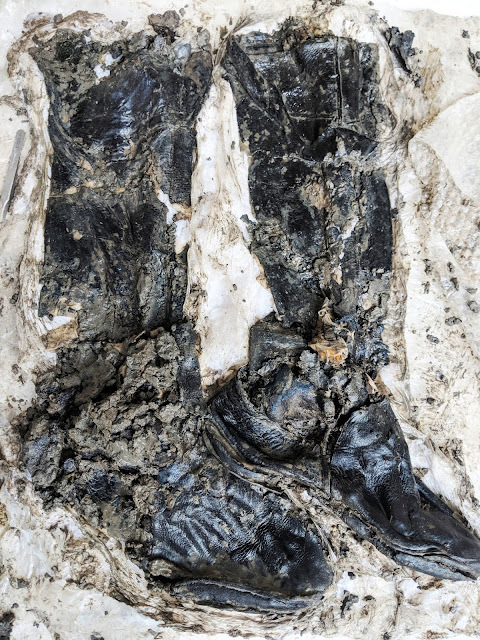 The discovery has sparked an investigation by a team of archaeological and osteological experts who are unravelling the mystery of the booted man in the mud. So what does the evidence tell us? Specialists studying the boots believe they date to the late 15th or early 16th century. Leather was expensive and often re-used at this time and experts believe it is unlikely that someone would have been buried wearing such a highly-prized item. The boots would have reached thigh height when fully extended therefore would have been ideal for walking out into the river and through the sticky Thames mud, so were perhaps waders. They were built to last: conservators revealed that they were reinforced with extra soles and stuffed with an unidentified material (possibly moss) perhaps to make them warmer or improve the fit. 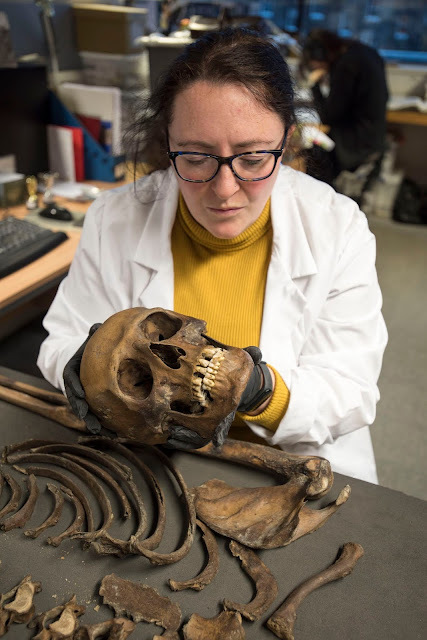 This research suggests the person wasn’t buried deliberately and the clues also indicate the owner may have made his living from the river, which could well have led to his untimely demise. It’s not unusual to find burials on the foreshore, but the booted man’s position was unusual: face-down, with one arm above his head with the other bent back on itself to the side. These clues could suggest that he fell or drowned and was covered quickly by the ground as it moved with the tide. Osteological experts have not identified evidence of any injuries at the time of death or a cause of death. However, they have uncovered some clues about how he might have made his living, evidence of the damage to his physical health from the extreme physical demands of his work on his body, and why he might have ended up in the silty deposits of the River Thames where he lay undisturbed for more than 500 years. MOLA osteologists think it’s possible he was under the age of 35 at the time of death, by then he had already led an active life which left its mark on his skeleton. His daily life wouldn’t have been comfortable – he would have felt pain and discomfort from osteoarthritis. Possibly the biggest clues about his life, are deep grooves found on his teeth. They were caused by a repetitive action like passing rope between his teeth as a fisherman might – which may also suggest that he made his living from the river. It may be that his discovery location – at a bend in the river downstream from the Tower of London at Chambers Wharf close to where the medieval Bermondsey Wall stood – is a natural confluence where materials accumulate in the river. The skeleton was uncovered during the construction of a shaft at Chambers Wharf, where one of the main tunnel boring machines digging the super sewer is due to start tunneling later next year. We may never know the answer to exactly how the booted man came to rest in the river, but his untimely death has offered an incredible opportunity to learn from him: to explore the relationships between the people of London in the past and the river Thames and how this dangerous and powerful natural resource was used by so many as a means of making a living.